The ultimate salad dressing, rich in Omega 3, made with our cold pressed rapeseed oil. Ready to complement any salad. Created by Eli using her trusty jam jar, this is the ultimate award winning green salad dressing. 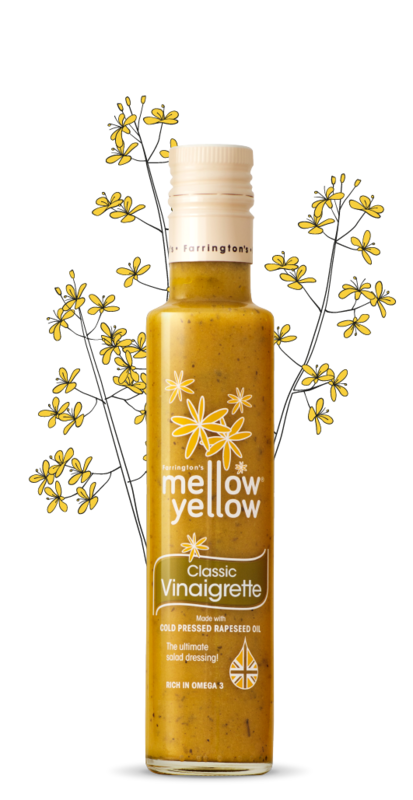 Farrington’s Classic Vinaigrette with its sharp, tangy taste, is achieved by a perfectly balanced combination of our Mellow Yellow cold pressed rapeseed oil, white wine vinegar with just the right amount of herbs and spices. Carefully crafted to complement any salad. Drizzle it over your crisp lettuce leaves, mix a touch into bean and grain salads to enliven your dish, or use as a chicken marinade. 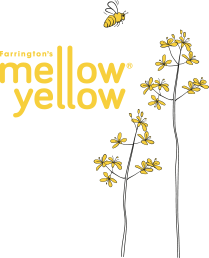 Mellow Yellow Rapeseed Oil 64%, white wine vinegar 22%, mustard (water, mustard flour, spirit vinegar, sea salt, mustard husk, spices), unrefined sugar, sea salt, garlic, herbs, black pepper.